Price includes (7) 8.5"x11" sheets of PDF prints. See Plan Preview. Delivery Method - Via email. Please allow 24 hrs. to email print. If you are looking for a fancy Garden Shed or in need of a regular Storage Shed built on site, we can help you to design and find the right contractor for the job. Our on-site built storage sheds and barns are constructed by Oak Hill Construction Services, LLC - the builder with over 15 years of construction experience. This builder offers "turn-key" solution, such as site leveling, installing shed pad, doing concrete slabs, etc. 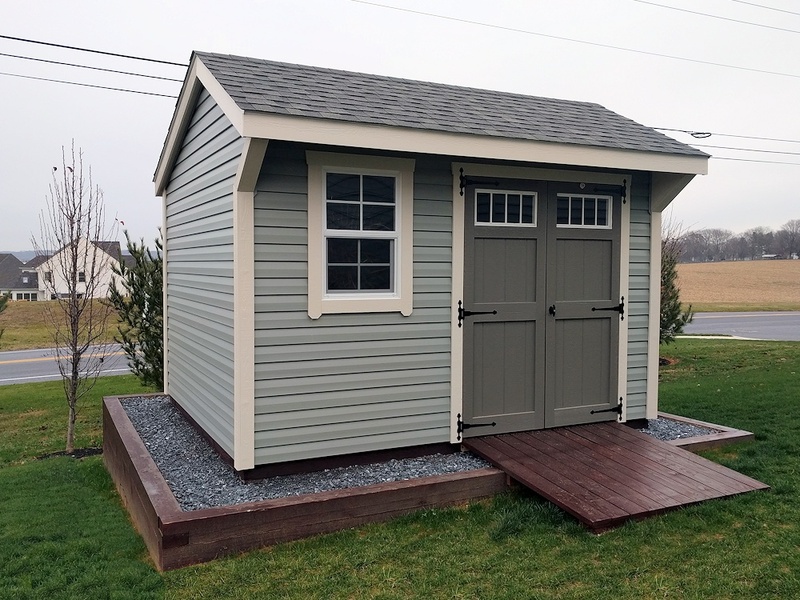 As of now, we offer sheds built on site only locally (within 30 mi radius of Lebanon, PA). There are several advantages for any building constructed on site.